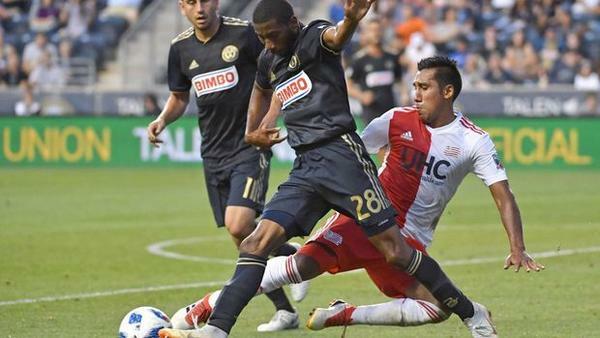 UNION BLANKS REVOLUTION: POSITIONED FOR PLAYOFFS! Don’t look now, but the Union are hotter than the Phillies. And they may make the playoffs, while the Phillies are sinking like a rock. 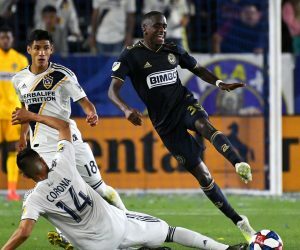 Cory Burke scored and Andre Blake had four saves to help the Union beat the visiting England Revolution 1-0. Blake had his second consecutive shutout and his seventh this season. 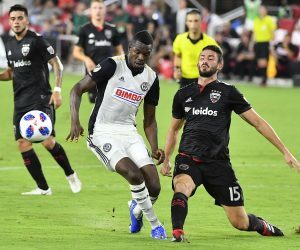 Philly (11-11-3) has won three in a row and are in fifth place in the MLS Eastern Conference..
Burke slipped behind the defense and ran onto a long pass from Haris Medunjanin before beating goalkeeper Matt Turner for a one-on-one goal in the 53rd minute. Burke was originally flagged offside but the goal stood after video review. He has five goals in his last five starts and the Union has won each of his seven starts this season. New England (7-10-8) is winless its last eight games, dating to a 3-2 win over D.C. United on June 30, and has lost six of its last seven. Previous PANIC ABOUT EAGLES OFFENSE? NAH, MOST STARTERS HAVEN’T PLAYED! Next WATCH RED-HOT UNION KNOCK OFF REVOLUTION 1-0! UNION BLANK MONTREAL TO GO 4-1-3! 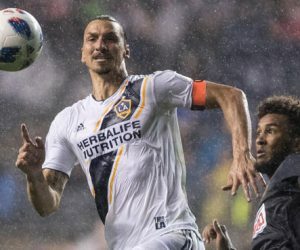 UNION’S WINNING STREAK ENDS IN THE L. A. RAIN!